A familiar face may be returning to the world of Supernatural. 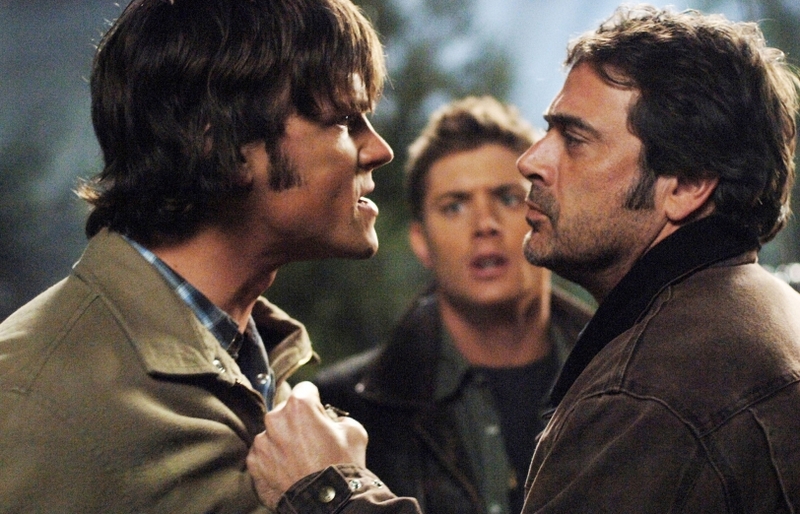 Jeffrey Dean Morgan, who played John Winchester in the first two seasons of the long-running CW series, teased on Twitter during a fan Q&A that he's open to revisiting the character of Sam (Jared Padalecki) and Dean (Jensen Ackles)'s dad. "Sure. If story was right," he wrote. John was last seen at the end of Season 2 in 2008, when he returned to the afterlife permanently. Another Winchester family member who has gone missing is Sam and Dean's half-brother, Adam Milligan (Jake Abel). He appeared sporadically in Seasons 4 and 5, and the last fans saw of him, he was trapped in Lucifer's Cage. Ackles expressed interest in exploring where that character may be in future episodes. "That's something that needs to be touched on, and it might be. But we'll have to see," he old ComicBook.com. Padalecki added, "I'd do anything for Jake Abel back. He's a dear friend and an amazing actor and an amazing man. I'll do anything to work with him again."